Stored Solar’s West Enfield biomass plant, pictured in September 2017. The company has plans for a partnership at the facility that includes construction of a land-based shrimp farm and a biorefinery. One of two firms getting millions in taxpayer dollars to generate electricity from Maine wood purchased less than half of the wood it promised and fell short on other investment goals, according to a state report. Staff at the Maine Public Utilities Commission suggested in a report issued Friday that the three-member regulatory body reduce a subsidy payment to the company Stored Solar by 20 percent, to a little more than $1.2 million in taxpayer funds. That’s about $320,000 less than Stored Solar requested under a state bailout program for two companies that burn low-grade wood to generate electricity. Stored Solar was plagued with challenges last year, its first year of operation, facing claims of unpaid bills from loggers and other contractors. The company had settled many debts early this year, according to property records, but contractors and a logging industry representative told a legislative panel in early February that some were still awaiting months-old payments. The Maine Public Utilities Commission will cast the final vote on how much Stored Solar ultimately receives, considering the recommendation of PUC staff, who in their report laid out why they think the company fell short of its economic promises. The report found the company purchased about 40 percent of the wood it had promised to buy and made roughly 63 percent of the promised investments in its facilities. That’s because regulators decided to exclude from their calculations options Stored Solar had secured from loggers to buy about 300,000 more tons of wood. “Purchasing the access to biomass does not equate to the purchase of biomass itself,” the staff report states. Staff also determined that Stored Solar’s roughly $900,000 investment in its own logging equipment did not count as an investment in its facilities, as those did not improve the performance or reliability of the plants themselves. In its request for the subsidy payout, the company said it’s making progress on its plan to build a land-based shrimp farm and biorefinery in West Enfield. It plans to break ground on the shrimp farm in 2018, in a partnership with the Newburgh, New York-based company Eco Shrimp Garden. In the PUC report, regulatory staff found the company nearly met its employment goal of having 42 employees, with an average of 41 employees for the year. That included the company’s doubling of staff in December to 77 workers, as market prices for electricity spiked and the company revved up power plant operations. 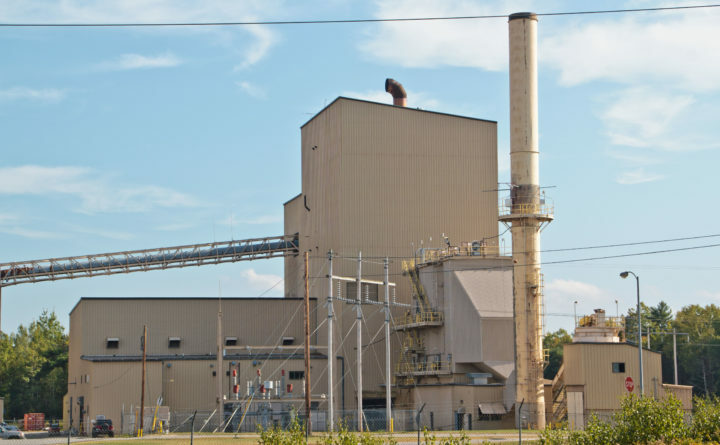 Stored Solar purchased biomass plants in West Enfield and Jonesboro from Covanta in the fall of 2016, in order to bid into the $13.4 million state subsidy program. Midway through the subsidy program, it asked regulators to evaluate its performance at the end of the year, instead of delivering it monthly subsidy payments for the power it generated. The other contractor in the subsidy program, ReEnergy, received roughly $4.3 million for the power it generated in 2017 at plants in Ashland and Fort Fairfield. ReEnergy’s total take dwindled to about $3 million in January because of the way its contract is structured. If the market price for energy spikes, the company could end up paying money back to the state, in what’s called a contract for differences. That happened in January, as a deep cold snap drove power prices much higher than the contract’s $46.50 per megawatt-hour.